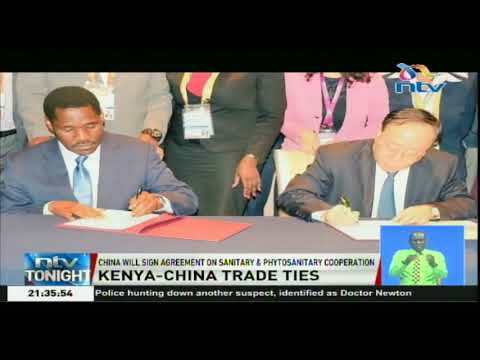 China will sign the Agreement on Sanitary and Phytosanitary Cooperation with Kenya once it finalises its legal procedures. This was agreed during a bilateral meeting between China's Ministry of Commerce, Kenya's Ministry of Industry, Trade and Cooperatives, held on the sidelines of the China International Import Expo in Shanghai. The two countries have signed a Memorandum of Understanding to establish a working group that will promote trade.